The DESTE Foundation is a non-profit institution founded by art collector Dakis Joannou in 1983. After 15 years of organizing exhibitions and supporting projects both within Greece and internationally, DESTE settled into a permanent home in Neo Psychico, Athens in 1998. In 2006 the foundation moved into a disused sock factory in the district of Nea Ionia, renovated by Greek architect Christos Papoulias. 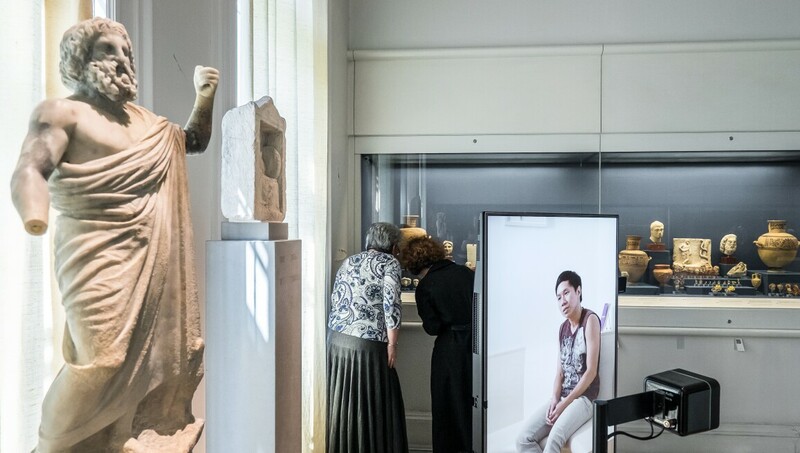 Its diverse exhibition program derives from a mixture of the Dakis Joannou Collection and, more recently, collaborations with other organizations such as the British Council. It includes showcases of both emerging and established names, with highlights including Jeff Koons’ A Millennium Celebration (1999–2000) and Monument to Now (2004), a group show of over 60 artists from the collection. The biannual DESTE Prize, established in 1999, is awarded to a young Greek artist as part of the foundation’s mission to promote contemporary art in the country. Continuously endeavoring to expand and extend beyond the traditional parameters of an art institution, in recent years DESTE has launched destefashioncollection, a series of commissions responding to international fashion collections, along with establishing an external exhibition space on the Greek island of Hydra.